We read and reviewed about 250 books this year. Listed below are those I thought were the best. In looking through the past year I am surprised to see that I gave fourteen five-star ratings. My 4.5 and 4.75 star ratings get rounded up in places like Goodreads, Amazon, and Barnes & Noble when I post the review there, but only 14 actual five star review. And of those, seven of them are in the non-fiction category. What does this say? I suppose it means that when I read non-fiction I am looking to be informed and a respectable amount of research and the ability to convey that gets my attention. With fiction, on the other hand, I am looking for so much more. Characters, story, plot, conflict, rising action, dialog … there’s a lot more that might narrowly miss the mark. For the sake of my looking for the best book, I’ve only considered those books that received a 4.25 rating or higher. No book in the romance/erotica category received a rating that high. Two books that might be considered romance to some degree, The Ferryman Institute and The Strange Disappearance of Atticus Finch did rate better than 4.25. Not everything was published or released in 2017 – these are the books read and reviewed here in 2017. I was surprised to look back and see that I only gave out one 5 star rating in one of my favorite categories. My selection for the best science fiction? Necrotech by K. C. Alexander. That’s a powerful line-up and a set of books well worth reading! The difference between science fiction and fantasy can be pretty tough to determine sometimes. Andy Remic’s Dragon Engine could easily be considered fantasy, but I’ve selected a few different titles for my fantasy picks. Again only one book received five stars. My best book for 2017 in fantasy is an easy pick: Dusk or Dark or Dawn of Day by Seanan McGuire. The mystery genre is a little bit new to me and here too we might find cross-over with other genres. In fact, my only five star rating could also be considered a western. My best mystery for 2017 is one of the Longmire books, The Highwayman by Craig Johnson. No ‘best’ for the year. The Highwayman, which was also the best mystery. In YOUNG ADULT books there was nothing that received a five star rating but I’ve selected I Am the Weapon by Allen Zadoff as my choice for the best of 2017. Two GRAPHIC NOVELS garnered five stars and they are pretty even as I think back on them, but I’ve selected Future Quest, Vol. 1 as my favorite with Betty Boop as a close second. In CHILDREN’S books the selection was easy for me. I’ve selected The Strange Gift of Gwendolyn Golden by Philippa Dowding as the best for 2017. For a SHORT STORY COLLECTION/ANTHOLOGY category, I could look again to the Contemporary Native American Authors but Dead on the Bones by Joe R. Lansdale is my pick. LITERARY FICTION is a rather generic category for anything that doesn’t fit well in other genres. Here I’ve picked Hag-Seed by Margaret Atwood, the retelling of Shakespeare’s The Tempest, as the best for the year. And finally NON-FICTION. So many good books to pick from but my choice for the best really popped out at me when I looked the list over. The best non-fiction I read this year was a memoir/autobiography, Infinite Tuesday by Michael Nesmith. That’s a lot of great reading. 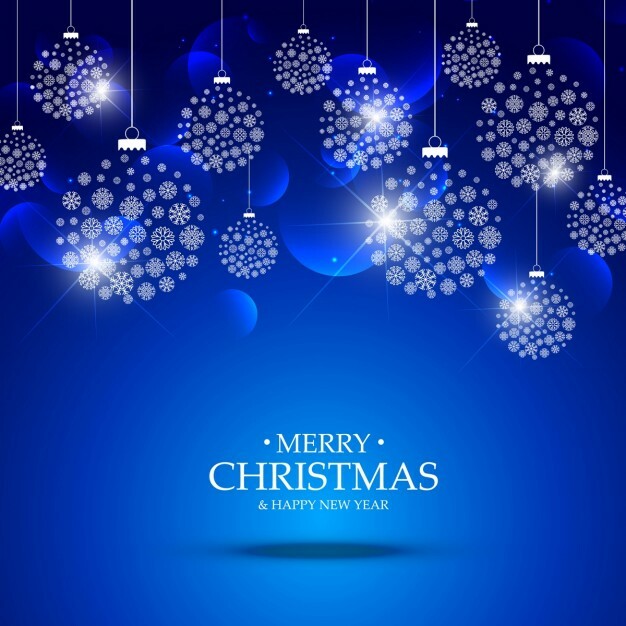 Congratulations to these authors, editors, and publishers, and thank you. Jack Salvo is a part-time philosophy teacher at a community college in Los Angeles and a part-time private investigator. When he signs up to work as bodyguard for the Russian Ballet who’ve come to Los Angeles, he figures he’s in for some pretty easy work and the bonus is that he’ll get to hang around some beautiful women – and get paid for it. But when one of those women is kidnapped on his watch, he takes it personally. Salvo ducks the FBI and dodges bullets in order to take on the Russian mafia, risking his life repeatedly to return one woman – a woman he happened to have been developing a relationship with. His search brings him to Russia where he’s arranged for a swap – the woman for a set of valuable diamonds. The swap is to take place in a town that is most noted for The Church of Our Savior Built on Spilled Blood. And ‘spilled blood’ is precisely what happens when the swap goes wrong. I really enjoyed author Jesse Miles’ writing style. The book was smooth and I bought in to the characters right away – which is essential to buying in to the story (which I also did). The book had a classic PI/Thriller feel about it. Tough but smart American PI and Russian ballet dancers kidnapped. This could have come straight from the 1970’s crime fiction section! In fact the book made me think about Robert B. Parker’s Spenser series – in a very good way. This is just a good PI Crime Thriller and I really liked the character of Jake Salvo . I will happily read more of these stories. Looking for a good book? 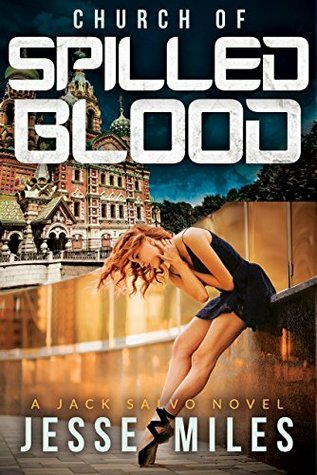 Church of Spilled Blood by Jesse Miles is a throwback to the classic tough-but-intelligent Private Investigators (like Spenser) and a thrilling read. I enjoy a good horror/dark fiction read and I will be honest – I was drawn to this book because of this beautiful cover that promises so much beauty and imagination in darkness. The book is set in a world first developed by the same author as a comic book series (a ‘hit’ comic book series according to the book cover). Ariel Chylde is a high school student who suffers from horrible dreams and nightmares. She has sudden, strange outbursts in school and as a result is treated as an outcast and pariah. Most of us know how cruel high school students can be (does anyone NOT know the Stephen King book, Carrie?). Ariel suffers from her peer abuse. But on her eighteenth birthday, Ariel’s nightmares become a reality. She sprouts wings and she winds her way into her nightmare world to fend off the monsters for real. Those living in the ‘normal’ world don’t understand what she’s doing and what she’s protecting them from. Instead, they think that she’s the monster who needs to be stopped. Ariel is a wonderful character. Despite the abuse she takes from her peers and the nightmares and her questioning her sanity and everything around her, she remains strong and willful. Unfortunately, however, the writing was terribly uneven. We learn at the end that this is R. Queen’s first novel despite a career writing for comics, and I think it shows. The writing, as many others have indicated, is very lyrical and poetical, but it takes more than poetry to tell a story, and the writing necessary to tell a 32-page comic and/or a multi-comic series, is very different from building a story for a novel. Most of the book is from Ariel’s point of view but we do get occasional spurts – by way of very short chapters – from someone else’s point of view. This might work easily in a comic when we can see a panel or two, or even a page, but in a novel it tends to slow us down more – unless the alternating points of view are balanced well to tell the story. And while the writing is poetical and lyrical at times, it sometimes felt like poetry in place of story. We gloss over character development to spend time waxing poetic about dark descriptions and monsters. The descriptions in the comics come by way of the art, where we can absorb description and action and dialog all at once. In a novel we can only take it in a word at a time – this is where the seasoned story-teller understands the balance and where R. Queen is very uneven. I wanted to like this, and hoped that the story would live up to the great cover. I suspect I would have really liked the comic/graphic novel. But this book, as a work of fiction, doesn’t hold up. Looking for a good book? 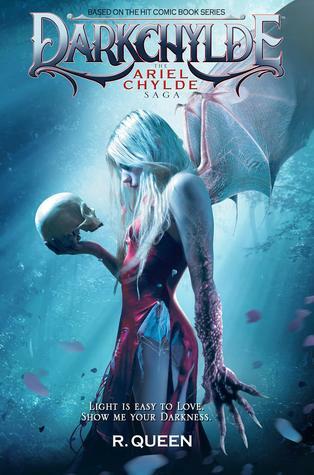 Darkchylde: The Ariel Chylde Saga is based on a comic book, both by R. Queen. The comic is probably a better place to go to get this story as this is extremely uneven and a struggle. President Theodore Roosevelt reportedly once said, “I can either run the country or I can attend to Alice, but I cannot possibly do both” in regards to his daughter and history has painted her as a bit rebellious and rambunctious. Author R.J. Koreto also paints her as curious in the mystery, Alice and the Assassin. It is 1902 and Teddy Roosevelt is President of the United States. Teddy assigns Joseph St. Clair – a veteran of the Secret Service and former Rough Rider – the task of watching over Alice, the President’s daughter. She smokes cigarettes, bets on horse races, chews bubble gum, and generally challenges her guard at every turn. She also develops a real school-girl crush on the rough, older St. Clair. St. Clair doesn’t do much here except that we see Alice through his eyes. He doesn’t try very hard to stop her from whatever she gets in to, but instead just tries to make sure she is safe – whatever she is doing. 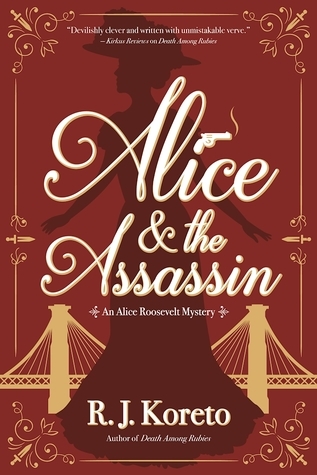 That’s harder than it sounds, however, since Alice gets the idea to investigate the assassination of President William McKinley. In part, she’s hoping to protect her father whom she believes could meet the same fate if the true culprits aren’t uncovered. In part, it’s something to do. 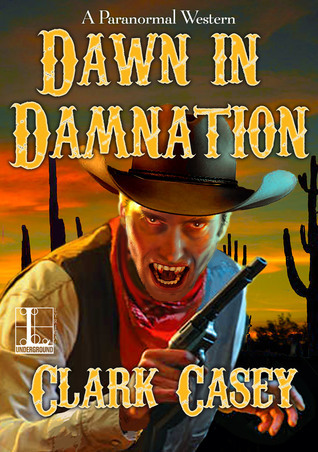 St. Clair helps open a few doors for the young woman and protects her from physical danger. Koreto has taken an interesting historical figure and written a complicated mystery. The plot intrigue, complete with foreign powers trying to create some influence in the United States reads an awful lot like some of the political goings-on happening in the U.S. today, which adds to the intrigue. But despite the historical research and the fascinating characters, the book moves along at a snail’s pace. We expect that a book in which this young, vibrant woman at the turn of the century who bucks the trend at every turn, would move along quickly – at her pace. But because the book is told from the point of view of the older, more careful St. Clair, we get it at his pace – careful, watchful. It’s a frustrating way to read … wanting to go faster than the author. I’ll be interested in the next volume, but if the pace continues slowly and methodically, it will be my last. Looking for a good book? Alice and the Assassin by R. J. Koreto is a historical fiction mystery that moves a little too slowly but shows some promise for future books. Manitou Canyon is the 15th book in the Cork O’Connor mystery series. You don’t get to fifteen books in a series if there isn’t something engaging and powerful about the characters and/or the stories. I’ve only previously read the first two books in the series – just enough to give me a taste of the central characters. Certainly much has happened in the twelve books in between, but I never felt that I was so lost that I couldn’t follow this story. My wife, who has read all the Cork O’Connor books, was sure I’d be really confused, but the nice thing about this series is that you really can pick up any book in the series and get a complete story. The characters may grow during the course of the series, but the central stories are contained in each volume. In Manitou Canyon, former cop Cork O’Connor, who now lives in Northern Minnesota, has helped the local law enforcement search for a man who went missing in the Boundary Waters. The man, a wealthy developer was an old friend of Cork’s, and disappeared while spending time in the Boundary Waters with his two grandchildren. When the search is finally called off, the grandchildren hire Cork to search on his own. The grand-daughter, an outdoors person herself, accompanies Cork while the grand-son stays in town. But within a day of the search, the grand-daughter also goes missing, and then Cork is kidnapped and those in town only know that Cork has failed to check in as agreed. What follows is a story of survival in the wilderness, a stand by a group of people to fight for what’s ‘right,’ and a moral battle – both for individuals and for a group of peoples. It was an exciting, thrilling ride and a tightly woven, complex mystery. The fact that the mystery revolves around a few individuals fighting each other and the land around them, but also has broader, national implications makes this a really exciting story. I will add, though, that it seemed really obvious to me who was involved in the kidnapping, despite Krueger’s attempt to keep the person out of the limelight. What I didn’t know was ‘why’ until others in the story managed to catch on and investigate. This is typically my problem with the mystery genre – I tend to know ‘who’ before the characters in the book. All in all, a really thrilling read set in a beautiful natural environment. Looking for a good book? 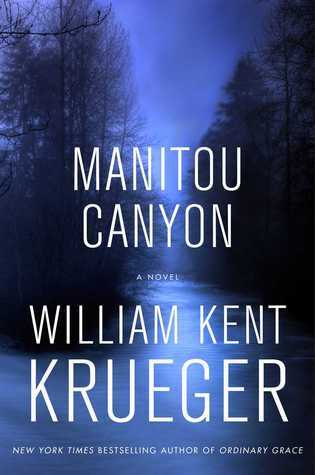 Manitou Canyon by William Kent Krueger is the 15th Cork O’Connor book though it can be read as a stand-alone mystery. It is full of adventure, mystery, and intrigue in a wonderful, beautiful environment and well worth reading.